In the civil sector we perform services in offices, public agencies, schools, hotels, apartment buildings, shopping centers, department stores, warehouses, outdoor spaces, etc. 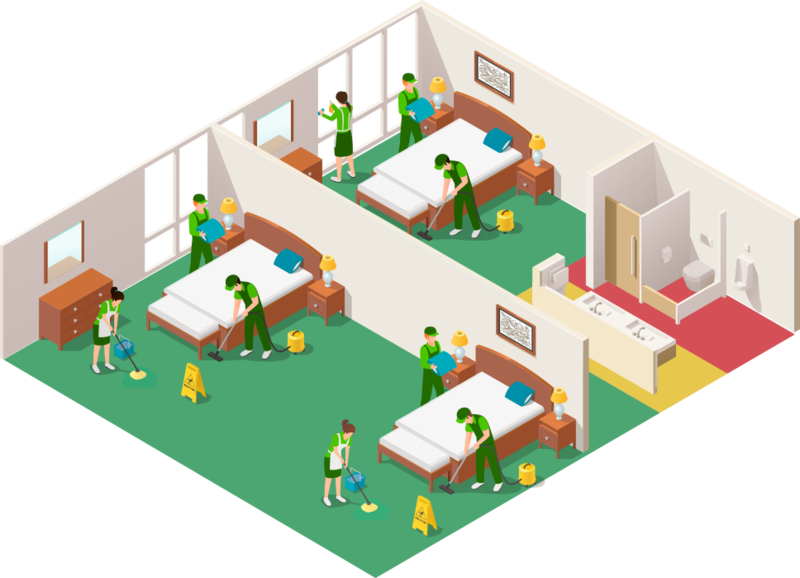 Our cleaning service is tailored to the customer’s actual needs with the identification of the most appropriate zones and periods for sanitization. Our activity planning begins with an examination of all areas where work is needed. Then we draft a personalized sanitization plan with a detailed list of tasks to perform in the various areas, which are categorized with color codes to guide the cleaning operative regarding the varying degrees of risk contamination and equipment to be used. The operative who performs the cleaning tasks inside the building will have a cart with color-coded equipment and products, to be able to use the required products and equipment depending on the area to be sanitized. 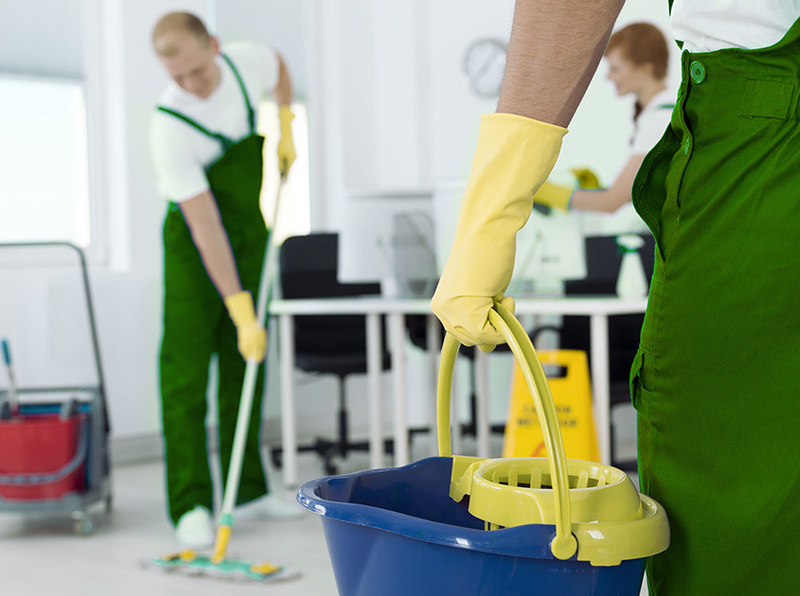 The operative has a checklist for each area to guide him/her in the cleaning to do and also confirm performance, given that each of these lists is signed and stored in the activity register. Surface treatments: we use specially prepared products and machinery for the treatment of: terracotta, parquet, carpet, marble crystallization, industrial flooring with resins, sanitization, disinfection of cleanrooms. Genuine contracts prepared in detail and certified by an independent body to reduce any risk involved in the execution of the requested service, offering greater protection for all parties involved. Our accurate analysis and variable management method allows us to calculate personalized costs based on the type of work and length of service, allowing you to obtain precise spending forecasts. The sharing of risks and growth objectives is a key part in our approach, so in our work we aim to continually improve the efficiency and quality of our services. Your success is our success. We offer maximum flexibility of workforce management: our personnel, specially trained for each job and provided with PPE, is the perfect resource to cope with seasonal production peaks. Send your inquiry to our staff who will be happy to provide the best solution for your business needs.